Whenever we go away on a trip, I like to at least try and continue to eat healthily. This can sometimes be a challenge for any number of reasons. You may only have a limited amount of space to store food or you might be in a remote area where fresh fruit and vegetables are not readily available or are extremely expensive. 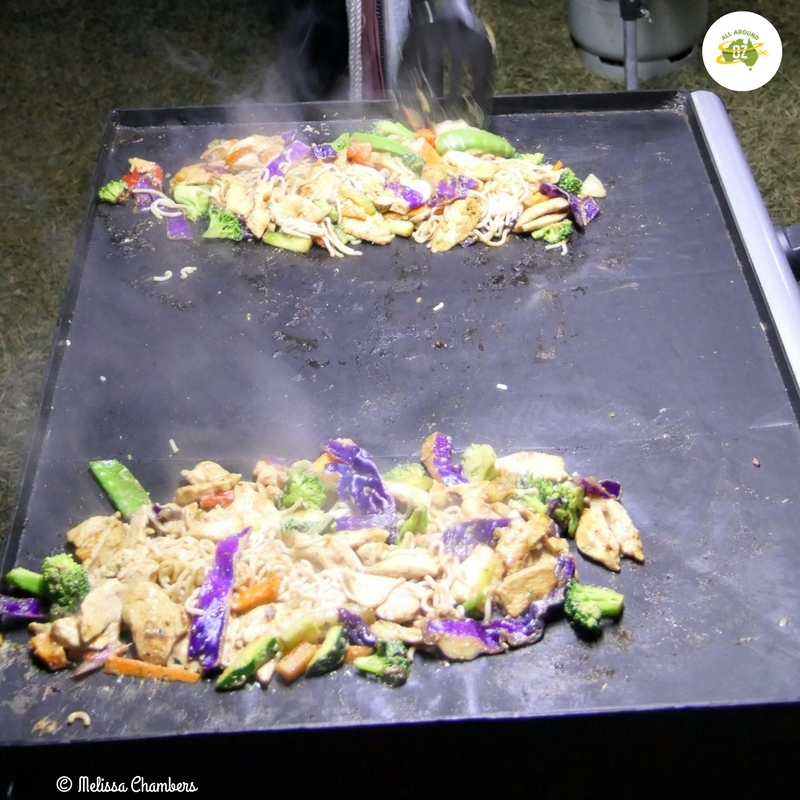 On our recent trip, I wanted to see if it was possible to make a Chicken Stir Fry on our small portable barbecue. Stir Fry is something that we eat quite often when we are home. They are quick and easy to prepare, tasty and generally pretty healthy. So this is what I did before we left so as I could make……..
Slice up 500 grams of chicken breast fillet. Place in a zip-lock bag. Add your favourite stir-fry sauce. You can make your own or cheat a little like I did. I used a sachet of Master Foods Honey, Garlic and Soy Recipe Base. Then freeze the chicken. Slice up about 500 grams of chicken breast and add some stir fry sauce before freezing. 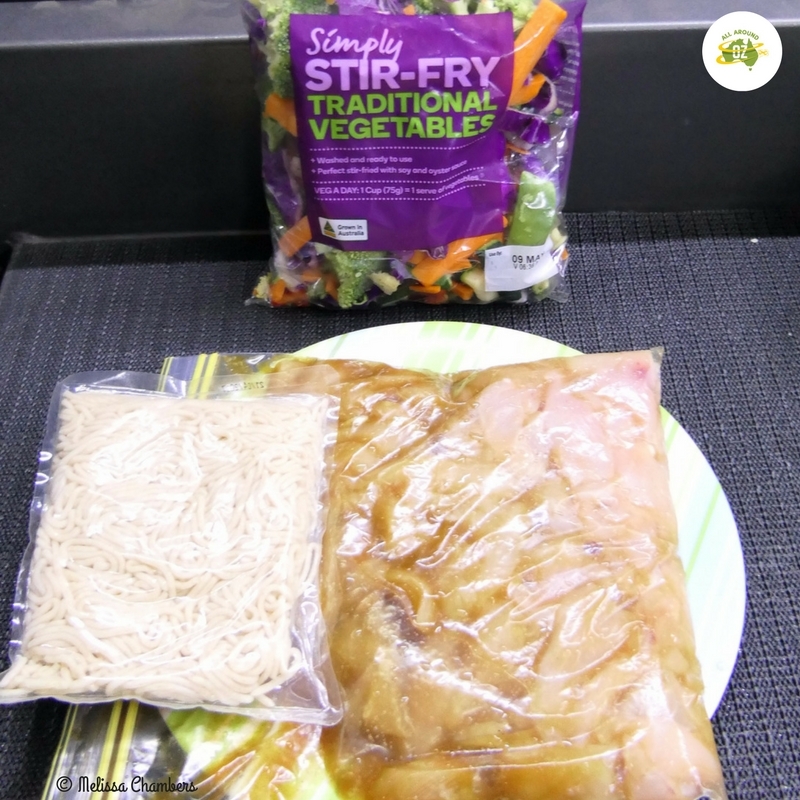 To prepare your stir fry, allow the chicken to defrost completely. Pre-heat your barbecue, then cook the chicken until it is about three-quarters cooked. Then add your vegies. You can use whatever vegies you have available. Once again I took the easy option and bought a bag of pre-chopped veg from Woolworths. 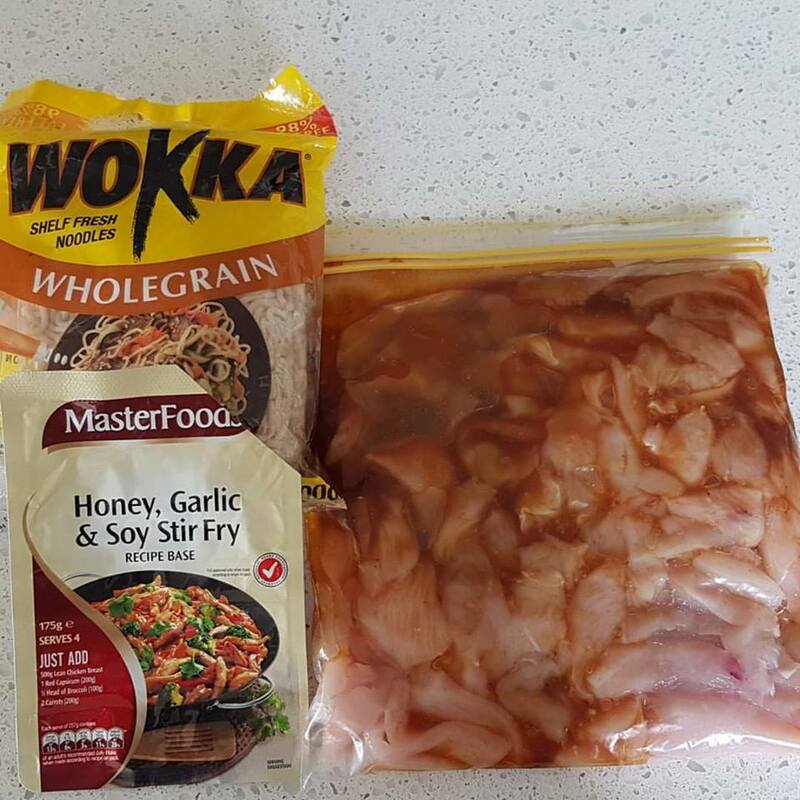 A quick and easy way to get a heap of vegies into your stir fry is to use the pre-cut ones from Woolies. 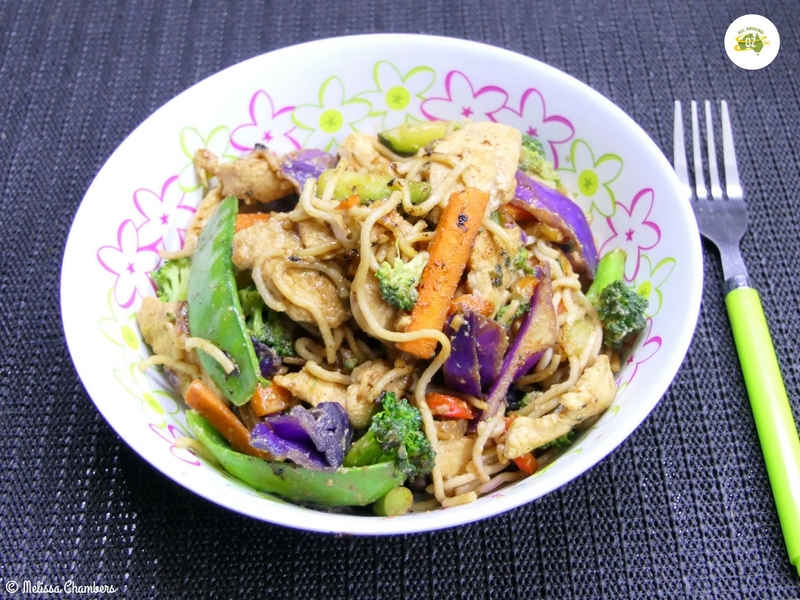 Toss the chicken and veg together until it is almost cooked and then add a bag of stir-fry noodles and cook until heated through. Toss your stir-fry on a hot BBQ until chicken is cooked and vegies are tender. And Voila! BBQ Chicken Stir Fry. And proof that you can successfully cook a stir fry on a barbecue. The completed dish! It was delicious too! We always use a non-stick barbecue mat which makes for a super easy clean up after you have finished cooking. Just wipe it over with some paper towel. Excellent way to eat on the road, Melissa. Thanks for tonight’s inspiration! It was quick, easy and tasty! Will do it again. I think the bag of veg was only $3.00. Even if it is a little more expensive it’s the right serving size for the two of us so nothing goes to waste.